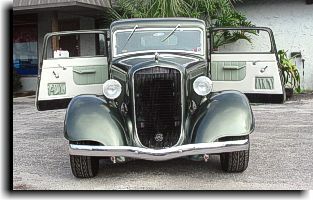 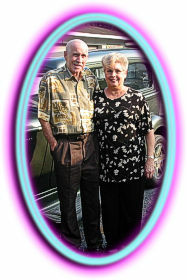 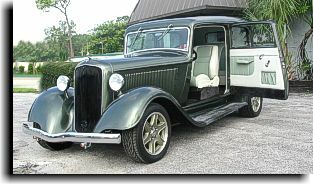 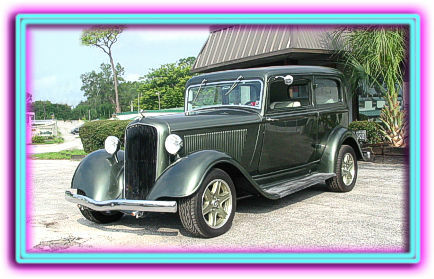 The owners of this very nice 1933 Plymouth - Wade and Barbara Webb of Lutz, FL - presented Catalina Custom with the opportunity to complete the interior started by another shop. 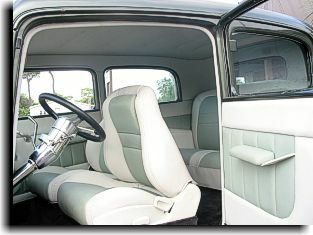 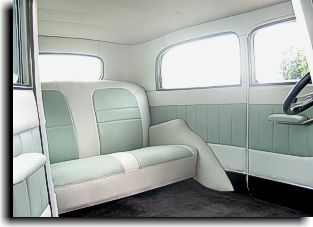 The seats had already been upholstered. 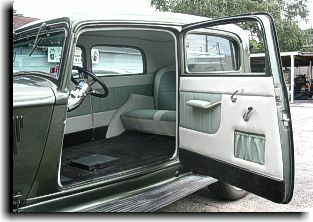 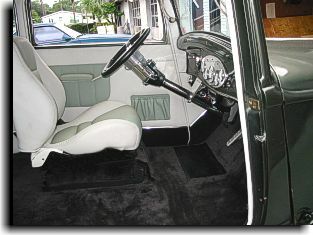 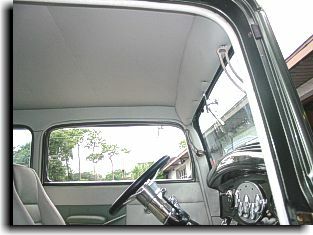 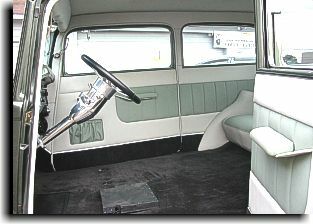 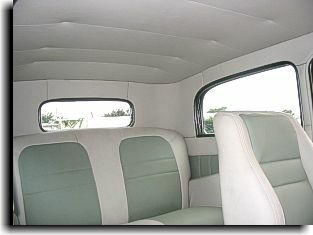 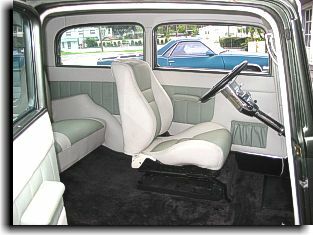 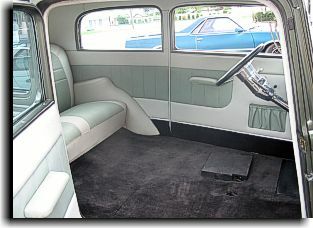 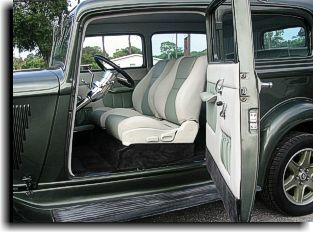 Using the remainder of the Allante White and Visons Wintergreen vinyl, Catalina Custom worked very closely with Mr. and Mrs. Webb to design the headliner, carpets, and door panels to make this 33 Plymouth a real eye opener that Mr. and Mrs. Webb will enjoy for many years to come.